To say that I’m excited for Lego Marvel Super Heroes is an understatement. As a Marvel fan and someone who collects and writes about comic themed video games, it’s nothing short of a dream come true. 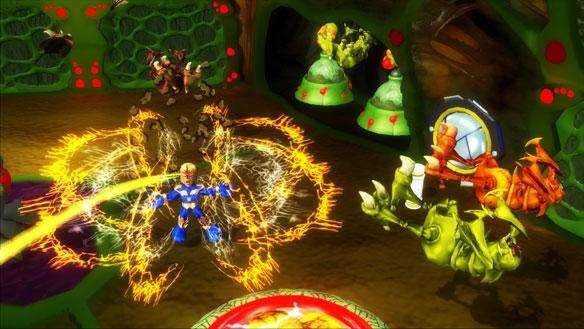 However, my enthusiasm for a Lego themed Marvel game actually came about when I played a game from THQ and Developer Griptonite based on the Marvel Super Hero Squad television program. 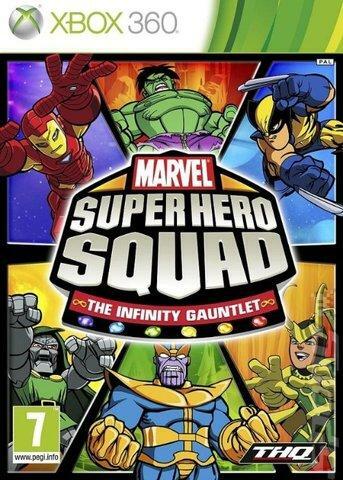 Marvel Super Hero Squad: The Infinity Gauntlet is a follow up to the first self titled Marvel Super Hero Squad game from THQ, but it does not hail from the same developer. The first games development duties were handled by Blue Tounge studios, while the sequel was crafted by Griptonite, who developed some exceptional Spider-Man games for the Nintendo DS. When you experience the game, you can clearly tell that the developer was trying their hardest to emulate the successful formula that Tt Games had developed for their Lego titles: You play through levels with two characters that you can swap between at any time or have a friend play with you. Each of the characters fall into a specific power type, or “Factor”. Iron Man for example falls into a tech factor category and can hack devices, Hulk has a strength factor used to move large objects and Falcon is part of the speed factor group that can activate special switches quickly. Upon your first run through the game you are given the necessary characters to complete a level and solve its puzzles, but you must return in freeplay mode to get collectables with other characters factor abilities as they are unlocked in the campaign. Any of this sounding familiar yet? Yes, The Infinity Gauntlet is a fairly shameless rip off of the Lego games, but is that a bad thing? Well, at the time no. There was no Marvel themed game in that franchise and THQ wisely used a franchise they had purchased to help fulfill that need. The game’s roster is a pleasant mixture of popular Marvel heroes (Spider-Man, Iron Man, Hulk) and rounded out by characters who may not be familiar to comic readers like Nova and Reptil. You can also purchase download only characters via DLC such as Captain America, Bucky and Dr. Doom among others. Even though the game hits all the gameplay check boxes from the Lego cheat sheet, it lacks the charm and humor of those games. Marvel Super Hero Squad as a franchise is clearly aimed at a younger audience, and it can be argued that the Lego series is as well, but the latter series can also be enjoyed by people of any age. The Infinity Gem is a fun game don’t get me wrong, but I definitely feel like I’m playing a game intended for a much younger audience. From the story, which kicks off with Iron Man and Hulk buying a pair of shoes for Thor’s birthday, to the constant annoying quips repeated over and over again by the cast, clearly this game was not made for a person in their late twenties. If you can get over the childish humor, the Infinity Gauntlet is a solid Lego knock off featuring Marvel’s stable of heroes. 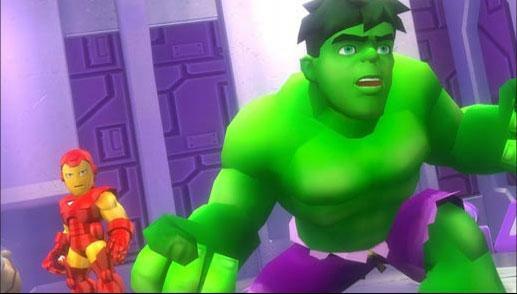 Until the release of Lego Marvel Super Heroes, it truly is the only game in town for the Marvel faithful. I can guarantee that at this point the game will not set you back that much as well. NOTE: A word of advice for anyone who tries the game and likes it, you may want to get on purchasing the DLC given THQ as an entity no longer exists.